Home Bitcoin Did Sec Engage in Insider Trading Over the Bitcoin ETF Decision? On a sunny Saturday this August the 4th, something very strange happened. 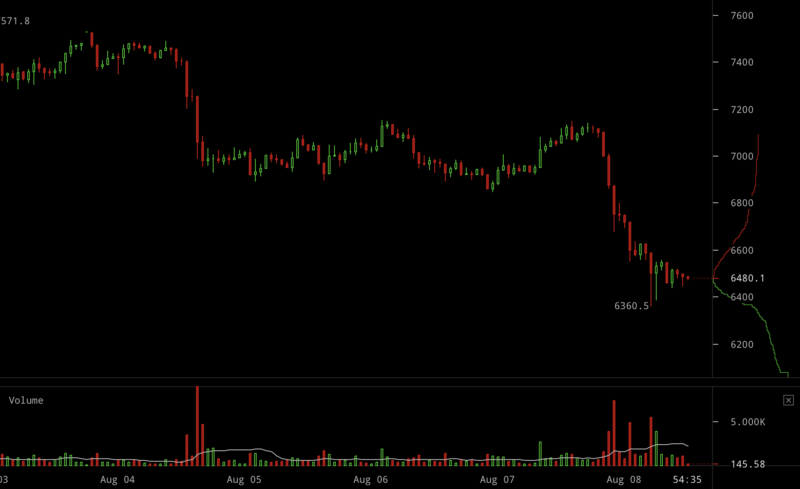 Bitcoin, for no apparent reason, begun falling in price and did so with some speed. In about one hour, at around 9AM east-coast US, bitcoin dropped by around $300. By mid-day New York time, it fell to under $7,000 from $7,500. There was no news of relevance for that day except for what CNBC called the biggest news of the year. NYSE’s parent company was to offer bitcoin buying and selling through one day bicoin settled futures. As such, you would have expected some bullishness and a price rise, but just hours after the biggest news of the year, bitcoin instead fell nearly 10%. Why? Is Sec breaking the law by engaging in price manipulation through insider trading? What is far more strange and strong evidence to indicate there was insider trading stands the fact that eth moved not one bit during this huge bitcoin sell-off on August 4th. That suggests something had happened which affected only bitcoin, but what was that something? Why were certain people selling on that day in a way that it appears the rest of the market was not convinced there was any reason to sell for it did not follow them? The decision itself is published on August the 7th and is dated so. Why then does the comments count go up to only August 6th? Did they mean to publish this on August 6th and there was perhaps an internal delay? Or was it just written on August 6th and they forgot to update? Regardless, that the decision was made before then seem very likely. It must have been taken on Friday, August third, then written on Monday, August 6th, then published yesterday on August 7th. On the Saturday in-between, did they then go to an exchange to sell, or told their trading buddies on Wall Street to sell? The latter would explain why the other cryptos did not move. There are no eth futures. So wall street must have set-up a spot trading system to hedge their bitcoin futures. The futures themselves would have been closed at that time, but spot trading exchanges are open 24/7. They further might have thought eth or other cryptos would have not been as affected, or perhaps they do not have as much volumes set-up for eth or other cryptos. Does that suggest Wall Street is easily able to move bitcoin’s price by $500, or did word just quickly spread within select groups? The details, of course, we do not know, but where the big picture is concerned, there appears to be little doubt here, now that we know what the news was, that insider trading occurred on August 4th 2018.